PPG Member Linda Michaels MA PCT-A calls on canine research scientists to lead the way on the ethical treatment of companion animals and take a stand against shock collars. It would require a long list to delineate the benefits of companion animal canine research conferences and live streams. Admirably, these conference bring canine researchers into the mainstream of the canine applied practices fields, i.e., dog training. Many pet parents and trainers take careful note of scientific positions and plan to incorporate the lessons-learned into their practice. The researchers benefit in kind from relationships forged with dog trainers and pet parents. Through these forums, canine research scientists may reap benefits that include research dollars, personal financial rewards in the form of speaker fees and opportunities for book sales, name and brand exposure. Although the preponderance of materials presented at dog behavior conferences often favor a force-free approach, notably shock collar snake aversion “training” and emergency recall are of particular concern. Critical empirically based data and a clear position on ethics are not always forthcoming or apparent in these areas. To be clear, no one is calling for a ban on scientific discussions of devices designed to cause pain, or of positive punishment, as has been suggested by some speakers. However, rationalizing or justifying the use of such devices and methods is another matter. Positions against the use of shock and positive punishment with companion pets are not necessarily based in a misunderstanding of science and the misapplication of the principles of learning, as is hinted at by some presenters, nor are such positions necessarily emotion-based and “blind to science.” Indeed, the opposition to their use may well be based in a sophisticated academic grasp of the mechanisms at work and a perfectly understandable desire to promote animal welfare in a civilized world. Voices that take a clear stand against pain-based collar devices and the crude manner in which positive punishment and aversive control methods are often used in dog training deserve to be heard in public forums. In addition to being the more ethical choice, non-aversive methods are not only safer but more effective with longer-lasting effects. Progressive zoos nationwide have moved away entirely from using positive punishment and aversive methods when working with large and even potentially dangerous animals. Certainly, competent scientists, behavioral consultants and dog trainers can manage our pet dogs. The so-called “balanced trainer” who practices a mix of training methods is a contradiction of terms. 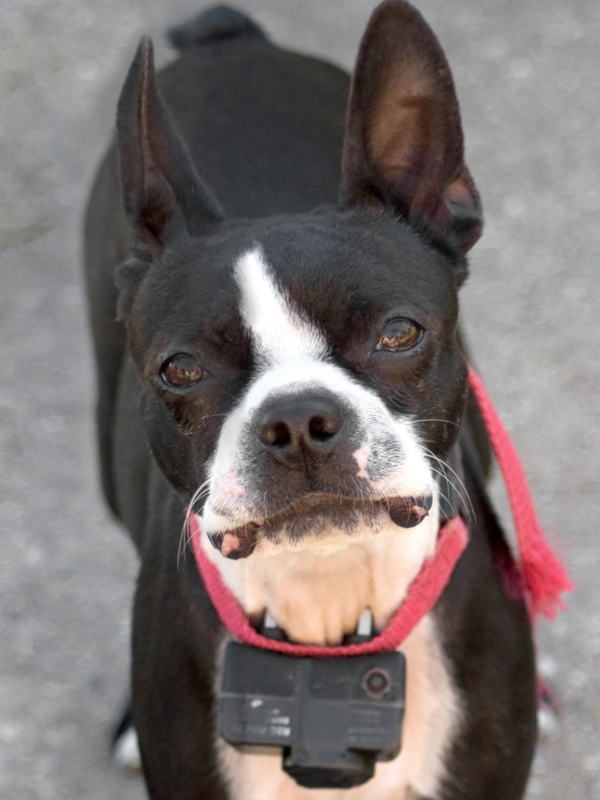 Alternating rewards with aversives sends mixed and contradictory messages to our dogs. In one canine research conference, a comparison of electro-convulsive therapy (ECT) used to treat depression in humans and shocking a dog to decrease an undesirable behavior was put forth as a viable analogy. However, it was not mentioned that ECT is conducted on a patient who is UNCONSCIOUS. ECT is not a treatment used to punish and decrease the frequency of a behavior. These are not similar applications of shock. Regarding the use of shock on human beings, one school in Massachusetts currently “treats” developmentally disabled students with shock. The shock method of behavior modification has been likened to torture and its use is being investigated by the US Department of Justice as well as the United Nations (Associated Press, 2014). “I think what has happened is that this has gone on for this long because this is a population who cannot adequately speak for themselves,” said Dr. Karen Weigle, a clinical psychologist affiliated with the University of New Hampshire. Who will speak for the dogs? Responsible leadership in science is the future of pet animal training. Dog bites are a serious and growing public safety issue in the US. It is well-documented in scientific literature that inflicting pain is frequently a cause of aggressive behavior. According to an article in the Journal of Veterinary Behavior, Good Trainers: How to Identify One (Overall et al, 2006), investigators place shock collars, prong collars and choke collars at the top of the list of equipment that causes anxiety, fear and arousal which often contributes to an increase in aggression. Although shock may cause a decrease in the frequency of the behavior of snake seeking, for example, it may also increase aggression and/or cause learned helplessness. Moreover, administration of shock often has serious unintended, classically conditioned side-effects. Pioneering psychologist Martin E. Seligman’s groundbreaking studies on learned helplessness indicate that inescapable shock may well produce immobility after the shock is removed (Seligman & Maier, 1967). Bite redirect incidents resulting from the direct administration of shock are not uncommon. Polsky (2000) meanwhile describes severe attacks on humans by dogs who were being trained or maintained on an electronic pet containment system. A recent well-attended canine behavior conference included an emotion-provoking photograph of a dog licking the head of a rattlesnake. Alongside it was a photograph of a dog running loose in the street chasing a car. Following that was a photo of a dog lying dead or seriously injured in the street. The caption read: “Sometimes punishment can be merciful.” This sounds more like religion than science. No empirical data on the efficacy of snake aversion “training” was offered nor was evidence demonstrating recall efficacy using punishment/aversive control provided. The use of shock collars in dog training has become the standard for snake aversion “training” despite the lack of evidence for its efficacy. This oversight has led to inaccurate conclusions regarding the benefits of positive punishment by pet parents, trainers and some scientists as well. Empirical evidence is requisite to the scientific method. An assumption of efficacy regarding shock snake aversion training has far-reaching and possibly dangerous consequences. Dr. Karen Overall PhD VMD MA DiplACVB tells us (2007), “There are no scientific studies on whether shock teaches dogs to avoid snakes, in part because the population data on the range of “normal” canine responses to snakes are lacking completely.” Snake aversion “training” has not been shown to be either a valid or reliable method of snake deterrence (see also Pages 32-34). Shock snake-aversion training seeks to instill the flight response. However, the fight or flight response is often erratic and unpredictable, i.e., the dog could “freeze”, the dog could “fight”, or the dog could easily panic and get bitten by the snake. Science must ask and seek to answer the obvious questions: Does shock “training” do what it purports to do? What are the side-effects? On whose scale would the benefits outweigh the risks and cost to the dog and, moreover, to public safety? 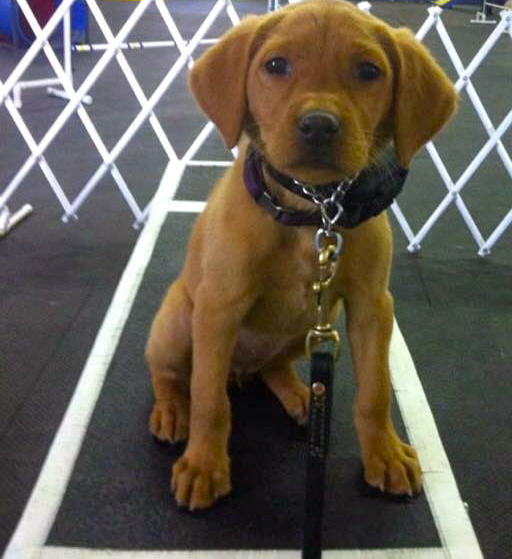 Is it possible that some scientists may be conforming to the philosophy of the all-inclusive “big tent” dog training organizations who often sponsor canine research and dog training conferences? For the first time, with the launch of the Pet Professional Guild (PPG), professionals in our industry have a clear option to affiliate with an international organization whose members subscribe to: “No Shock, No Pain, No Choke, No Fear, No Physical Force, No Physical Molding, No Compulsion Based Methods employed to train or care for a pet” (2015). I entreat scientists to consider the impact their presentations may have on their audience and, moreover, on our companion animals when speaking from scholarly platforms on canine research. It is surely the responsibility of canine researchers to carefully examine the topics they present and to avoid presenting opinions, positions and innuendos as “science” that may reflect their own personal bias and prejudice. Is it not the responsibility of scientists to attempt to disprove a null hypothesis and debunk myths rather than assuming that a treatment has a desired effect? Wales has banned shock collars as other countries have done and an active movement is presently calling for a ban of shock collars in England, Scotland and Canada. In 2004, The Kennel Club, London, published a list of countries supporting a ban. The website BanShockCollars.ca lists numerous scientific studies, many with full text available, that demonstrate the deleterious effects of using these devices on companion pets. A study that used both behavioral and physiological measures, compared the impact on dogs where shock collars were used during training to those where no shock was used during training. This study found behavioral evidence that the welfare of dogs was negatively impacted even when training was conducted by professional trainers using relatively benign protocols advised by shock collar advocates. The Department for Environmental Food and Rural Affairs, UK (2010). How long will corporate agendas and personal interests in the US override animal welfare and principles of “Do No Harm”? The alternatives of either shocking a dog or getting bitten by a snake is an overly simplistic false dichotomy and a fallacy put forth by shock proponents meant to foment fear in caring pet parents. So how can we prevent snake bites to our dogs? Critical thinking mandates that we investigate other options. A presumption of supposed life-saving benefits is unwarranted and unsupported by science. We ought to protect our dogs against dangerous and venomous snakes as we protect ourselves and the other members of our family. Would we allow our two-year old child to go romping about in the fields during snake season? How can we reduce euthanasia for dogs presenting with behavior problems? A premise with the alternatives of either shocking a dog or having him euthanized is another false dichotomy commonly posed by shock proponents. “The use of shock does not bring dogs back from the brink of euthanasia; instead, it may send them there,” says Overall (2007). In actual fact, punitive methods or devices can cause an increase in anxiety which may lead to further behavioral problems, often causing pet parents to relinquish their animals to overflowing shelters. Barring neurological damage or deficits, I have yet to see a case in my behavioral consulting practice (including wolfdogs) that could not be treated adequately using non-aversive methods. Indeed, so-called “red zone” dogs are in need of non-aversive training as much if not more than others. In an effort to protect our companion pets from snakebites, there are less invasive and more humane alternatives on the horizon than administering shock that ought to be explored by the scientific community. The use of service dog training methods may work without the inherent psychological and medically injurious effects that can result from shock devices. Service dogs are trusted to guide blind people across busy streets, undistracted by prey animals. A standard behavior chain of Detect, Recall to handler, and Alert may be more reliable, predictable and humane for the dogs… as well as for the snakes currently used in shock snake-breaking. In addition, a survey using the extensive Canine Behavioral Assessment and Research Questionnaire (C-BARQ) database already in progress, or a separately designed survey, exploring the co-relational relationship between shock training and bites would be of practical value to science, animal welfare advocates, trainers and the public. It is the job of researchers to fairly and honestly share thorough and ethically sound information. We need to move forward with sensible standardization of the dog training industry with skill competency requirements, consumer transparency in advertising and professional accountability based squarely on humane treatment. We should seek to strengthen our welfare laws in the US. It is imperative that scientists consider their words carefully: Our governmental representatives will look closely at what scientists have to say about shock. How can the average pet parent be expected to make a well-informed decision with regard to behavior modification tools when so many dog trainers and manufacturers of shock products misrepresent the true nature of their effects? There is simply no place for shock, prong, choke or any other aversive devices in companion animal research or training. I believe that, in the end, animal welfare and ethics will finally bring about a sea change in dog training that is already long over-due in the US. It is incumbent upon scientists researching canine behavior and those with advanced degrees in animal behavior to take a firm, clear and unwavering stance on these issues. Surely, it is understood that science cannot take a stand… but scientists can. I urge canine research scientists to take a leadership position on the ethical treatment of companion animals. This article cites An Open Letter to Research Scientists published by the same author in BARKS from the Guild Magazine. Jan/Feb 2015. Associated Press (2014). Skin shocks used at Massachusetts school draw FDA investigation. Ban Shock Collars (2015). BanShockCollars.ca. Breland, K., & Breland, M. (1961). The misbehavior of organisms. American Psychologist, 16, 681-684. Defra, Department for Environment Food and Rural Affairs (2010). Research Project Final Report. Kennel Club, London. Electric Shock Collars: Countries supporting a ban. Michaels, L., (2015, Jan/Feb). An open letter to research scientists. BARKS from the Guild, 10, 58-60. Overall, K. L., (2007). Why electric shock is not behavior modification. Journal of Veterinary Behavior, 2, 1-4. Overall, K. L., (2007). Considerations for shock and “training” collars: Concerns from and for the working dog community. Journal of Veterinary Behavior, 2, 103-107. Polsky, R. P., (2000). Can aggression in dogs be elicited through the use of electronic pet containment systems. Journal of Applied Animal Welfare Science, 3, 345-357. Thank you so much for the “thumbs up”, Daniel. I wholeheartedly applaud the work you are doing. At long last we come together to become a force to be reckoned with. There is no room in a civilized world for devices or methods that cause harm, either psychological or physical to companion animals. I look forward to meeting you! This is well written with clear logical arguments and research references. Well done. As chair of the PPG Advocacy Committee I agree wholeheartedly. Thank you writing an open letter directly to canine researchers. The PPG Advocacy Committee continues to work on these issues and I believe each PPG member can advocate on a local level for the humane treatment of pet animals.